BERLIN -- Germans of various faiths donned Jewish skullcaps and took to the streets Wednesday in several cities to protest an anti-Semitic attack in Berlin and express fears about growing hatred of Jews in the country. The kippa protest was triggered by the daytime assault last week of two young men wearing skullcaps in an upscale neighborhood in the German capital. The attack, in which a 19-year-old Syrian asylum-seeker is a suspect, drew outrage in Germany and sharp condemnation by Chancellor Angela Merkel. 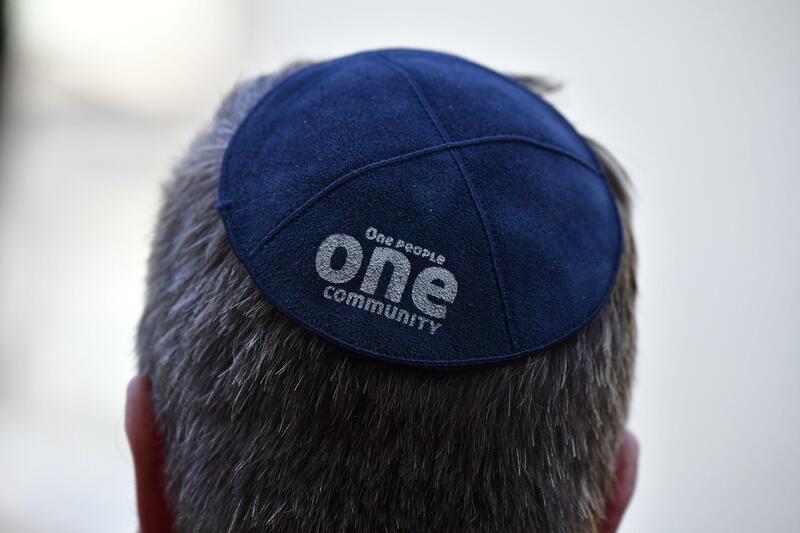 About 150 people - Jews, Muslims, Christians and atheists - came together Wednesday and put on kippas in a show of solidarity in the eastern city of Erfurt. Other rallies were expected later in the day in Berlin, Cologne and Potsdam. "We also have new phenomena (of anti-Semitism in Germany). We have refugees now, for example, or people of Arab origin who are bringing a different type of anti-Semitism into the country," Merkel told Israeli TV this week. "In the new government, we have for the first time appointed a commissioner for Jewish life in Germany and in the fight against anti-Semitism." Poland witnessed a startling wave of anti-Semitic comments earlier this year by government and officials amid a dispute with Israel over a new Polish law. The law criminalizes blaming Poland for Holocaust crimes. The anti-Semitic rhetoric, unprecedented in Poland in 50 years, deeply shook the country's tiny Jewish community.